First up, my paranoid VR suburbia story "Days Like These" is up in audio form at The Overcast and narrated by J.S. Arquin. 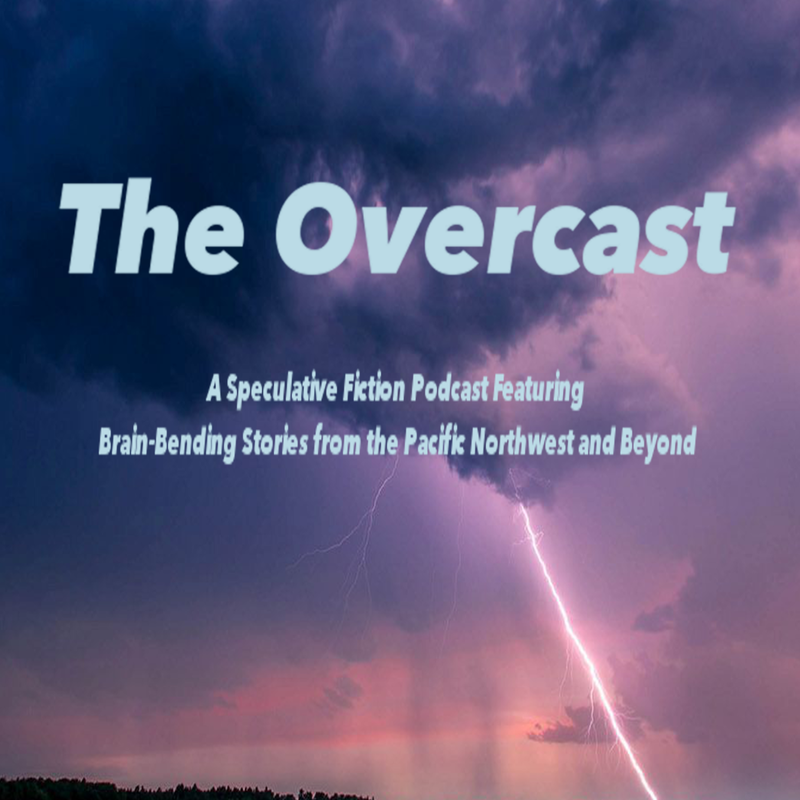 This is a new podcast focusing on speculative fiction from writers in the Pacific Northwest. There certainly are a lot of us here! I hope you'll check it out. Also, my short story "Hand of God," originally in PodCastle, is now in "print" in Fantasy Scroll magazine! This is an older story, one of the first that I wrote when I started writing again in 2011, There's also an interview with me up at the site. I may have blathered. Also re: Hugos: I have never cared about them, but now I really don't care. I know that by all rights I should have An Opinion About This. It probably doesn't say anything positive about my character that I don't. Yes, the Puppies' tactics (both sets, though one much more so than the other) were skeevy. But also, it's an award. Just an award. If I were one of the fans who has been attending WorldCons for years or spent the past decade as a supporting member, I might care. But I'm not. I don't have the money to travel to faraway conventions and while I could afford the $40 for a supporting membership, I'd rather use that money to buy books (you get books with the supporting membership, but they might not be the ones I want to read). I appreciate that people are upset about this and they have the right to be angry, but I also have the right to be indifferent. Seeing the words Hugo (or Nebula) on a dust jacket has never made me any more likely to pick up a book. There are hundreds of quality works published every year and only a fraction of them will ever win awards. That's life. This year, a different and possibly less quality slate of works were nominated. But does that mean no more great stories will be published? It certainly does not. If works of lesser quality are nominated from here on out? Perhaps that's a little crappy, but you always have the option to not care about the Hugos. Care about a different award instead. Or care about... no awards at all. Crazy thought, I know! Selfishly, I am unhappy that my first WorldCon will be marred by tense conversations about a stupid award. Every panel: award talk. Hugo talk at the bar, Hugo talk at the pool. Maybe all WorldCons are like this? Or maybe by that point nobody will care. That's the best case scenario, a world in which we all just kinda say "you know what, this doesn't matter." And then we all go read things we like, and write other things we like. The work is the prize. All else is gravy. 1. Today is our one-year Portlandiversary! The view from the car almost exactly a year ago. Secured a part-time day job, the schedule I wanted. Wrote something like a dozen stories. Re-wrote and re-re-wrote my novel (it's done now). Started teaching classes at Portland Community College. Slayed the dragon and drank his blood. Did not have to look at snow for the first time ever in my life. Started up my freelance editing business. It's been an awesome year, perhaps the most awesome year ever. Seriously, the only year that could possibly compare to this one is the first year I lived in Pittsburgh (and if you want to know what I was like back then picture Kimmy Schmidt sans bunker). 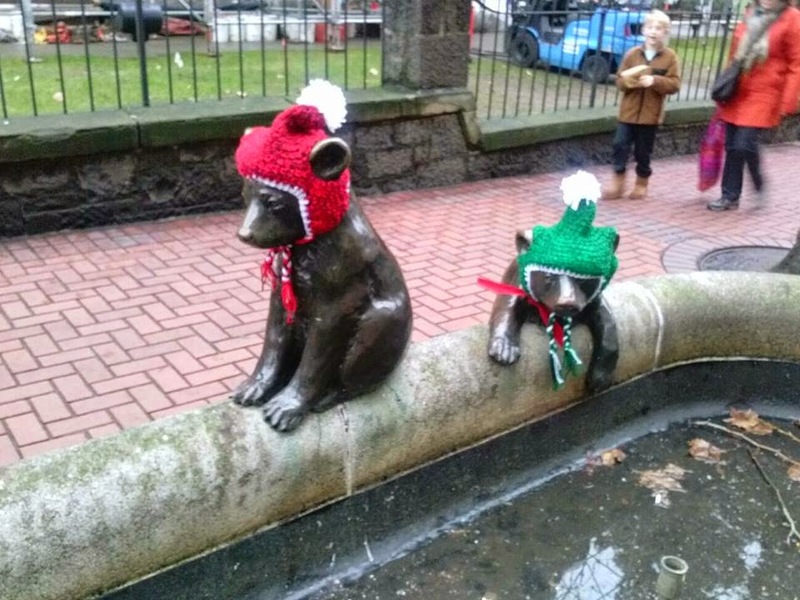 I am looking forward to many, many, many more years here in Portland with Rob, doing what I do, letting the tiny animal statues downtown alert me to the changing of the seasons because the weather sure doesn't. They are wearing tiny hats! This isn't a real city! I figure next year is the year when I'll finally be Oregonian enough to tell those damn transplants to get off my lawn. 2. I have a new flash story up at Daily Science Fiction, "Clarity." It is really depressing! Read it and weep, but also feel paranoid, because if I try to elicit any sort of emotions with my writing those emotions are depression and paranoia. 3. I also sold a flash story to Lightspeed's special Queers Destroy Science Fiction issue! The title is very long! As a bisexual woman married to and monogamous with a male-bodied person living in the most liberal city in America, I am aware that my queerness is largely invisible unless I come out and talk about it, which I rarely do because... sometimes I think it's not relevant? Although it is, and it certainly was in the past, and I think it's important for people with misplaced straight privilege to come out. So I'm out, I've never been in, but now I'm visible and I am thrilled to be destroying science fiction with many fine writers. Full list of authors/stories here. 4. I have Thoughts about this year's Hugo Awards, which you can read beneath the jump cut below (it got long).